Shanghai General Motors Co. is a joint venture between General Motors and SAIC Motor. The company hosted a booth at the Wuhan Motor Show. Global auto companies reap big sales in China from their partnerships with Chinese brethren. Might they someday be allowed to go it alone? Under current regulations, global auto makers can only own as much as half of their joint ventures in China. Most foreign car companies such as General Motors Co. and Ford Motor Co. hold 50% shares. One notable exception is Volkswagen AG’s joint venture with FAW Group, the German automaker holds 40%. But talk of allowing foreign players to operate on their own occasionally pops up. The latest instance was at an auto forum that began last week in Wuhan. In response to a question from the Beijing Times at the conference, Chen Lin, a counselor at foreign investment and economic cooperation department of China’s Commerce Ministry, appeared to agree that a review was in order, suggesting the government and car companies study the impact a rule change might have. “I think we should put it on the agenda,” said Mr. Chen, according to official transcript of his comments. Later he told foreign reporters including China Real Time that Ford was “very, very pleased” with its joint ventures. Weiming Soh, a member of the board of management at Volkswagen Group China, told China Real Time the topic of VW expanding its share of its joint venture with FAW has been on the cards for some time. “We are in the process of extending our joint-venture contract … We would like to do more and therefore this is something that we have been discussing with our joint-venture partners.” He gave no timeframe for a conclusion to such talks. Analysts such as Bill Russo, president of automotive consulting firm Synergistics Ltd., said foreign car makers were hoping for a rule change because the current limits discouraged them from using China as an integrated part of global operations. “Foreign auto makers could really step up their game if China didn’t have these joint-venture rules,” he said. Auto makers wouldn’t be keen to build factories in China to make cars for global markets because under the current system they would have to share half of profits with their Chinese partners. But any attempt to change the status quo is unlikely to be popular with the Chinese partners–most of whom are state-owned behemoths that rely heavily on the cash generating cars sales their lucrative joint ventures yield. “If China allows foreign car makers to have a bigger stake or drop the ownership limit, Chinese auto makers will be put in an extremely unfavorable position to negotiate with foreigners,” said Sa Boni, an analyst at market-research company IHS. Mr. Russo said the joint-venture rules were originally put in place to ensure Chinese could have an equal footing with foreign partners. “But these joint-venture companies are now well-established, so those concerns are no longer there,” he said. Most analysts say a change in regulations to allow greater foreign participation is unlikely to happen anytime soon. 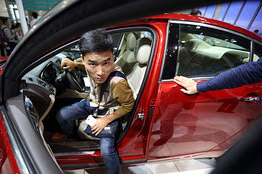 Even if the policies were modified, Chinese auto makers would be loath to give up their shares in joint ventures well-positioned to benefit from China’s booming auto market—the world’s largest for new passenger car sales. China is also forecast to be the biggest luxury car market as soon as three years from now, according to consultancy McKinsey & Co.
WUHAN, China—A top executive at Dongfeng Motor Corp. said on Thursday that the Chinese auto maker continues to debate the "rationality" of buying a stake in ailing PSA Peugeot Citroën, UG.FR +0.70% after months of slow-going talks between the two. The comments—by Dongfeng President Zhu Fushou on the sidelines of the Global Automotive Forum here—underscore the obstacles that remain ahead of a potential deal that would reshape the unprofitable French auto maker and project state-owned Dongfeng more fully on to the world stage. Speaking to reporters, Mr. Zhu said "it's too early" to talk about a potential investment. Asked why the company is still in talks, Mr. Zhu said "because it's about the rationality" of a deal. Mr. Zhu's comments come after months of talks between the two companies that could see Dongfeng take a stake of just under 30% in Peugeot, according to a person familiar with the matter. The French auto maker is exploring a capital increase to ensure sufficient resources to develop new cars amid a slumping European market. The talks, however, have moved slowly, hampered at times by a language divide, and the cautious nature of Dongfeng, a person familiar with the matter said. On the Peugeot side, the company's controlling family isn't entirely on board with a deal that could also significantly dilute its control, that person added. It also remains unclear whether a Dongfeng deal would conflict with the relationship Peugeot partner General Motors Co. GM -0.28% currently has with Dongfeng rival SAIC Motor Corp. 600104.SH -0.07% GM owns 7% of Peugeot. Peugeot's board is expected to meet early next week to consider a potential capital injection from Dongfeng, a person familiar with the matter has said. After that meeting, the French government could consider investing in Peugeot alongside Dongfeng, another person familiar with the matter said. Dongfeng is the state-controlled parent of Hong Kong-listed Dongfeng Motor Group Corp.
Mr. Zhu's comments Thursday echo those of some industry experts, who say it isn't clear whether an alliance with Peugeot would help Dongfeng realize its global ambitions, build its own brand or give it effective access to new technologies. "For sure Dongfeng wants access to Peugeot's research and development, technology and sales network—the more they can get of these the better," said Zhang Xin, a senior analyst at Guotai Junan Securities in Beijing. "The problem is whether Peugeot wants to share them with Dongfeng," said Mr. Zhang. "It would be a deal that [Dongfeng executives] would hope could put them into the premier league," said Sanford C. Bernstein analyst Max Warburton, who added that it would allow Dongfeng to move from being a contract assembler to full-fledged manufacturer. Dongfeng is China's second-biggest car maker by volume if its sizable commercial-vehicle sales are included. But the overwhelming majority of Dongfeng's cars are produced with the company's joint-venture partners, which include Japanese auto makers' Nissan Motor Co. 7201.TO -0.79% and Honda Motor Co.7267.TO +0.26% , and Peugeot. 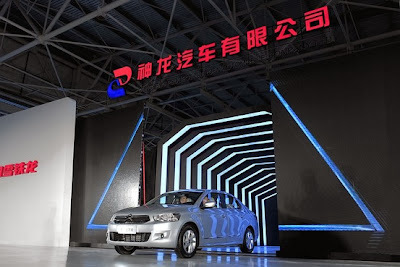 Dongfeng's own-brand cars account for about one-eighth of its total passenger-car sales, according to a Bernstein analysis based on data from the China Association of Automobile Manufacturers, an industry body. "But if they are wise, they'll be spending a lot of time pondering whether they have the expertise to manage this and if a minority stake in PSA would really give them proper influence," Mr. Warburton said. Mei Songlin, vice president and managing director with advisory firm J.D. Power China, said owning a substantial share of Peugeot could allow Dongfeng to access the French auto maker's know-how, including product platforms, technologies and quality-management systems. 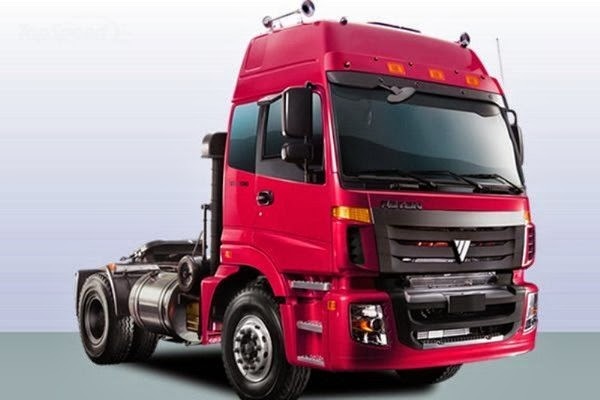 Dongfeng's technology shopping list could include advanced powertrains, transmission systems, safety measures and emission systems, said Bill Russo, president of auto consulting firm Synergistics Ltd. He said fostering such a technology pipeline could otherwise take Dongfeng years to develop by itself. "And there's no guarantee they can do it alone," Mr. Russo said. 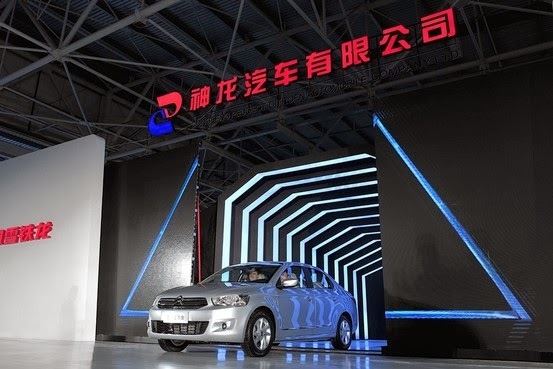 Other factors possibly influencing Dongfeng's decision include a desire to survive in China's highly competitive auto industry and to ensure its joint venture in China with Peugeot, known as Dongfeng PSA, continues to run smoothly. John Zeng, a managing director at consulting firm LMC Automotive, said Dongfeng is lagging behind even other Chinese state-owned car makers. "They are under pressure to grow, to be comparable to other automotive groups," he said. "Dongfeng PSA is becoming increasingly crucial and a big cash cow to Dongfeng Motor overall. If Peugeot experiences a financial crisis, it will cause a big negative impact on its operations and brand image in the Chinese market," said J.D. Power's Mr. Mei. He said Dongfeng PSA is now "growing in the fast lane." This year's sales volume is forecast to increase more than 20%, he added. The Chinese auto maker's Dongfeng Motor unit posted a net profit of 5.5 billion yuan ($902 million) in the first half of this year, up 3% from a year earlier. According to CAAM data, the company sold about 2.2 million vehicles in the January-to-August period this year. —Rose Yu in Wuhan, China, and Sam Schechner and Noémie Bisserbe in Paris contributed to this article. Respected China auto analyst Bill Russo gives his five part opinion and outlook on the Chinese commercial vehicle market in this must read report. The Chinese CV world is the polar opposite to the automotive world, consumers base their purchases on best bang for the dollar, nearly all purchases are Chinese brands and foreign brands are the 1% rather than 50+ percent as in the auto industry. Global manufacturers will increasingly be pushed into the luxury “niche”, unless they adjust their business model and develop low-price, as opposed to low-cost products, which are not just “good enough”, but have the right features, durability, more rapid innovation, and lower price to be sold globally. The Chinese market is already highly fragmented, and the pathway to entry for foreign players is not obvious. However, we believe that several market entry options exist as previously noted. MAN’s JV with Sinotruk may be able to crack open the mid-range market in which local OEMs are dominant. Read the rest here, ASAP.